Brookfield, Wisconsin is home to over 38,000 people and is the third largest city in Waukesha County. With such a large population, Brookfield has a lack of data recovery companies. Unfortunately, data loss can happen unexpectedly and can cause major file damage. Luckily, Secure Data Recovery is the leader of the data recovery and digital forensics industry and has offices in Brookfield to help. 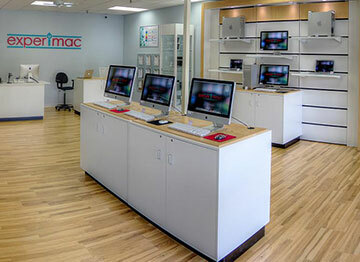 Secure Data Recovery provides Brookfield with the most reliable data recovery services in the nation. We have a 96 percent overall data recovery rate and our expert engineers can recover data from essentially and type of media. Call 1-800-388-1266 to speak to our local customer support team in Brookfield to set up your same day device diagnostic. No matter what type of media you have or what the file loss scenario was, our skilled technicians can recover your data fast. Look at some of our featured services in Brookfield, Wisconsin. Our knowledgeable customer support team is available 24/7 and 365 days a year for your convenience. Call today to set up your risk free case and ask about our no recovery, no charge guarantee. We also offer same-day device evaluations and 24-hour emergency services for clients that need their data fast. We believe in the safety and security of your data. We only store most recovered data on our secure servers and when storing data externally, we use dedicated controls and filesystem-level encryption to keep your data safe. Our data is stored over our secure networks, encrypted with 256-bit DoD standards. We are also SSAE 18 Type II certified and adhere to PCI-DSS and EU-US Privacy Shield Confidentiality Standards. Our laboratories operate state-of-the-art Class 10 ISO 4 cleanrooms. This guarantees that we are providing the best environment for your media once its in our labs. Secure Data Recovery Services is also a GSA contractor, meaning that we are cleared to service local, state, and federal government agencies for their data recovery needs. Most businesses are not prepared for an unexpected drive failure. Drive failure can mean unwanted downtimes, substantial data loss, and other severe consequences. The first thing you should do is completely power down the device and unplug it from the outlet. Shutting off the device can potentially prevent further data loss. Do not attempt to repair the drive or recover data from it yourself. Our engineers have over 20 years’ experience with drive failures and can safely repair and recover your data quickly. Attempting to recover data on your own can lead to permanent data loss. Call our customer service team today at 1-800-388-1266 for a free consultation. Our outstanding customer support team in Brookfield is available 24/7 to answer all of your questions, they will help you start your free case and provide information about our same-day diagnostics. When my USB flash drive was not recognized on my computer, I stopped at a local computer repair shop and they advised me to contact a local recovery company located in southern Wisconsin. After I received their quote of up to $12,000, and not guaranteeing their work, I immediately requested my flash drive back. I conducted a google search and found Secure Date Recovery (SDR). I researched a little more and realized that this company was legit, and the previous reviews were by far the best compared to other companies I researched. I contacted SDR and Chris McMacken contacted me back immediately, and advised me of their process and their guarantee. I was really skeptical, if I would get my files back or even a portion of them. After deciding to send it in for the free evaluation, Chris contacted me back with a price for the recovery and advised that it would take a little more time due to reassembling and piecing the flash drive back together, due to the local 3rd party company disassembling the device. I was really impressed with the knowledge Chris had and keeping me informed and involved throughout the entire process. It took a couple months for the recovery, but they were able to retrieve all my files! Knowing that all my files were recovered was a huge relief. If there was a company I highly recommend, it would be Secure Data Recovery! Not only was the price reasonable, Chris was professional, polite, and he and the entire staff knew their stuff!! I can’t thank Chris and the entire staff at SDR enough. If I ever need anything recovered, SDR is the company to go to (and keep the company’s website bookmarked in your web browser). Very Professional and curious staff. Very responsive to all questions and needs of our company, and willing to work within our vendor policies. Excellent customer service from Mitchell and we greatly appreciated the effort they put in to make sure we were happy with the data they recover before ever attempting to charge. Very pleased with the results and definitely recommend the use of this company for data recovery.